Based in Vancouver, British Columbia, Credo is a leader in creating innovative content, products, solutions and choreography for 3D character animation applications. At Credo Interactive, we specialize in 3D character animation software with a particular focus on the teaching and choreography of dance. Our award-winning Life Forms and DanceForms choreography software easily integrate with your work, whether it's in the classroom, the studio or with your suite of 3D character animation tools. Our libraries provide a rich array of motion capture and animation clips ranging from ballet to everyday activities. 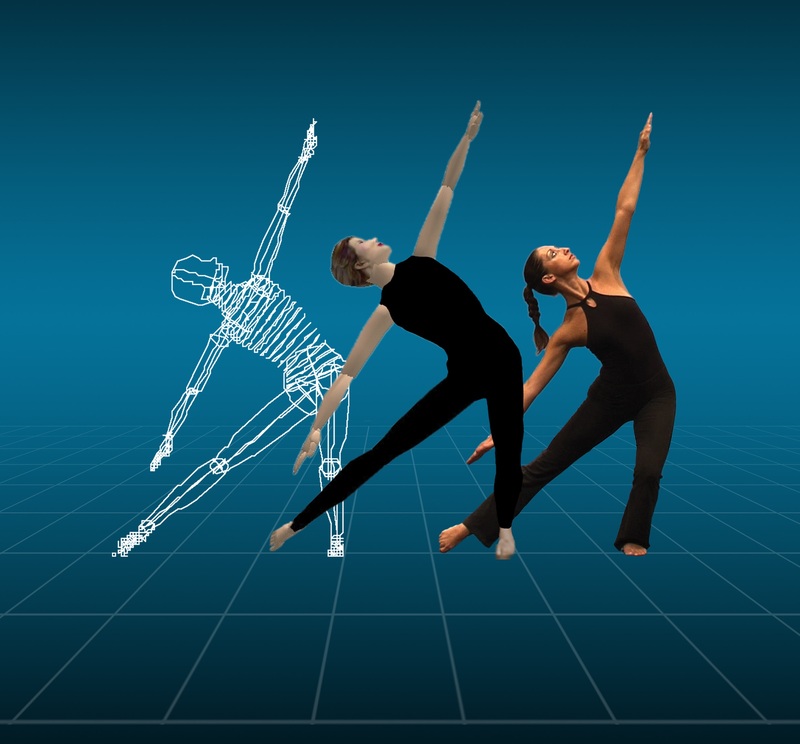 Edit and expand motion capture content with Life Forms or DanceForms and use character motions from our action-sequence libraries to enhance your choreography and other 3D projects. Visual Artists, Dancers, Performance and Theatre professionals agree: Life Forms and DanceForms are the premiere solutions for choreographic pre-visualization. "...Life Forms is not revolutionizing dance but expanding it, because you see movement in a way that was always there - but wasn't visible to the naked eye." New iBook We congratulate Rhonda Ryman-Kane and Robyn Hughes Ryman on the release of Benesh for Ballet Book 3, their third iBook. More information on the iBooks can be found here. New operating systems DanceForms 2.1 for the Mac is compatible with macOS Sierra and DanceForms 2.0 for Windows is compatible with Windows 10. It is by far the most powerful character-animation package in it's class. Create your own animations based on default models or edit motion capture or keyframed character animations from almost any source. This software inspires you to visualize and chronicle dance steps or entire routines in an easy-to-use environment. For choreography, interdisciplinary arts and dance technology applications. 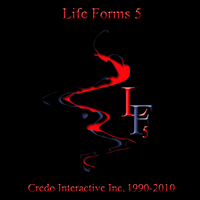 DanceForms 2 is functionally equivalent to Life Forms 5 but the interface has been made more "dance friendly". Built from the ground up to provide clean and conistent motion capture data, Mega MoCap V2 is the CG professional's dream for productivity enhancement. Now optimized in your format of choice: Maya, Lightwave, Poser, 3DS and more. Our credo is to apply the following 3D's to every project: dedication, diversity and depth to create innovative, market-savvy solutions. Leveraging our roots in award-winning products, Credo also provides customized strategic solutions to create compelling content and technology for applications. Our expertise ranges from consulting to implementation of everything having to do with 3D character animation. This includes 3D virtual environments, characters and avatars, gaming development, wireless communication or anything in between. Credo is active in project consulting, production services, contract software development and technology partnerships.